On The Real Housewives of Atlanta, the men often upstage their wives, from Peter's "bitchiness" driving apart Cynthia and NeNe's friendship to Apollo's courtroom drama taking over the entire season. 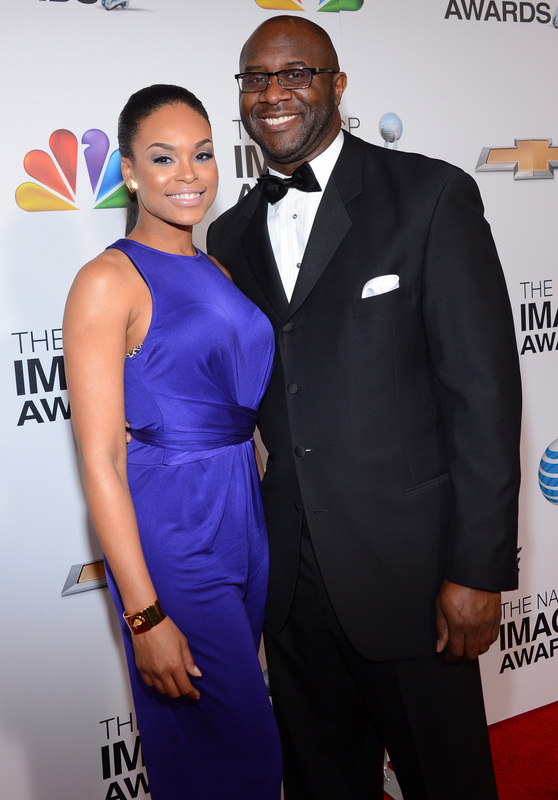 Last week's episode was all about the newest recurring Housewife, Demetria McKinney. But she was upstaged by her illicit relationship with boyfriend and producer Roger Bobb, whose name was said enough times that if he for some reason had Betelgeuse powers, he'd be popping up every 15 seconds in a black-and-white pinstriped suit. And even though he's not much of a public figure, his figure looms large among the RHOA cast, so let's try to figure out what makes Roger Bobb (Roger Bobb, Roger Bobb!) such a big deal. Generally speaking, Bobb is a producer. He makes all different kinds of content under his Bobbcat Films banner, mostly film and TV, though he also manages talent, including his own girlfriend. But Bobb's only recently branched out to his own company. He used to be the Executive Vice President of Tyler Perry Studios, the wildly successful production company that's made all of the Madea films. Bobb has personally produced all of Tyler Perry's movies from Diary of a Mad Black Woman through For Colored Girls. So he's had a lot of box office success bolstering his career. Bobb's company also produces The Rickey Smiley Show, which employs both Claudia Jordan and Porsha Stewart — it was really just a matter of time before he showed up on RHOA this season. According to Demetria, their relationship had to be on the DL because Tyler Perry doesn't approve of his employees fraternizing, and she was one of the stars of House of Payne . She initially claimed that they'd been dating for eight years, but later, when talking to the ladies at her music video debut, she amended that — they've been dating on and off for eight years, so rumors of Roger Bobb's womanizing ways must have spread far and wide during the "off" portions. I mean, he did get his start with a short film called Confessions of a Dog… and it wasn't about pets. For some reason, a great gig making pretty mediocre but very successful movies made Roger Bobb incredibly sought after by every single woman in Atlanta, including a very disappointed Kenya Moore, whose brain splintered into several pieces when Cynthia gave her the news that Bobb was taken. I guess she did take all of those paparazzi photo rumors about the two going out seriously. Watching Kenya react as she and Bobb work together will be a lot of fun this year — the lady never met a platonic friendship she couldn't turn into a will-they or won't-they.